You Want ANY Type of Club Customization – We Can Do It! Buying new golf clubs can be an expensive proposition. And they still may not serve to improve your game to a great degree. In many cases, a a similar improvement can be made by updating your existing clubs. There are alternatives to just going out and buying the latest new set produced by your favorite manufacturer. Perhaps switching out the current shaft to a higher or lower flex to match your swing speed or changing the club head to a more effective bounce for your elliptical swing plane. Switching to a new type of grips is another example of a move towards customization. By having your own set put together, not only save money. But, the set of custom clubs will be made specifically to your personal preferences. Golf club manufacturing is dominated by a few well-known companies such as Callaway®, Nike®, Titliest®, Ping®, TaylorMade® and Cobra®. However, another reason to consider a custom set of clubs is the fact that often times, a set can be built for far less money using generic or clone component parts for assembly. Both offer superior performance and world-class quality just like the big brand names, but the alternatives are a better value. Does the Golf Ball really know the difference? 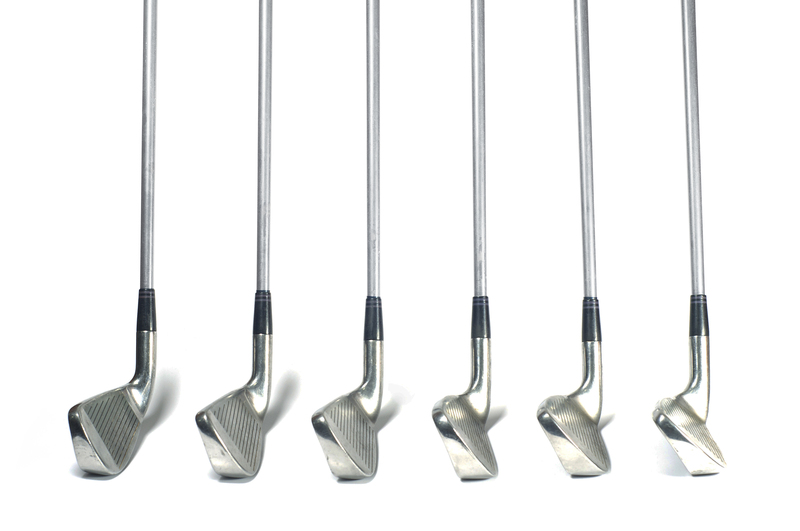 If you still are in the hunt for big names, consider buying a good used set of name-brand clubs and having them reconditioned, updated, and tuned-up to resemble close to new. Custom builds enable us to control the swing weight of each component item to provide you with the optimum total swing weight. Swing weight is a factor that casual golfers rarely give much thought to, while more serious golfers often do. Swing weight is a measure of how the weight of the club feels during the swing. Technically speaking, swing weight is a balance measurement and equates to the degree in which the club balances toward the club head. For example, if Club A has a balance point closer to the club head than Club B, then Club A will feel heavier in the swing. It should be noted that swing weight and the actual or total weight of the club are two different things. In reality, women do not have to play with women’s clubs and men do not have to play with men’s clubs. Your Custom Club Idea…or Ours! We will put together any type of club combination you imagine. If you want a non-standard club loft – we built a club for a gentleman that wanted a 68 degree loft lob wedge. That’s crazy! – but we did it. We took an expensive putter head on a broken shaft that a customer bought for a huge discount at Play It Again Sports – and refurbished, re-shafted, and re-gripped it to look like new. Another customer asked us to put a “brand new” hybrid head on an old club shaft/grip previously sitting around his garage – now he actually uses it. We put pistol putter grips onto someone’s short chipper and improved their accuracy by limiting their wrist turning. The possibilities are endless! We can review your clubs and make suggestions. Turn old clubs into functional “like new” ones. Create a non-standard loft (not illegal per USGA club rules) for a custom lob, gap, or pitching wedge. Turn your putter from a straight shaft to a double-bend model. Innovation and creativity is our “custom” club business. Remember, it’s really not a crazy idea if it works!